Leaves, seeds, twigs and debris lay on top of the Leaf Out Gutter Guard panel and are blown off by the wind. Leaf Out slides under the shingles. Rainwater flows down your roof and drains through the patent-pending Aluma Flow Louver System. Leaf Out has been tested to handle up to 28.4 inches of rainfall per hour. Leaves, seeds, twigs, and debris lay on top of the Leaf Shelter panel and are blown off by the wind. 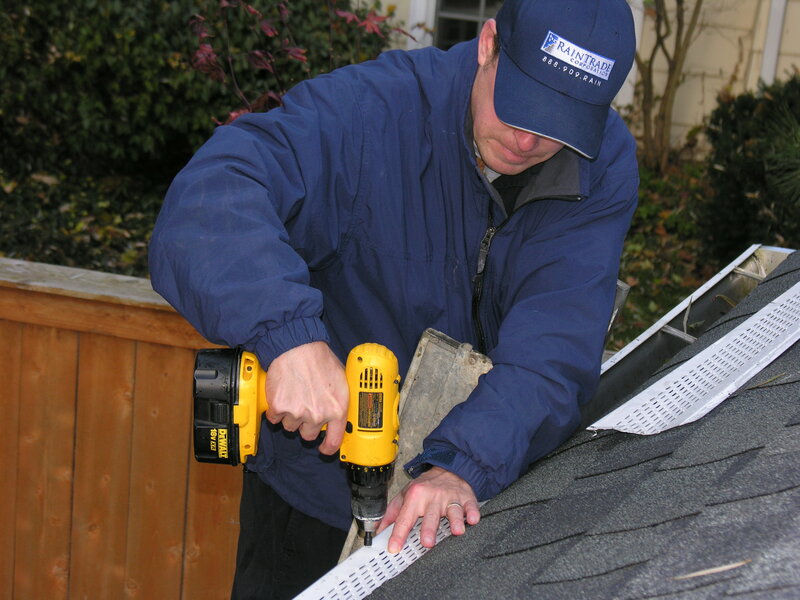 - No need to replace your gutters. Leaf Shelter installs over your existing 5" or 6" gutters. 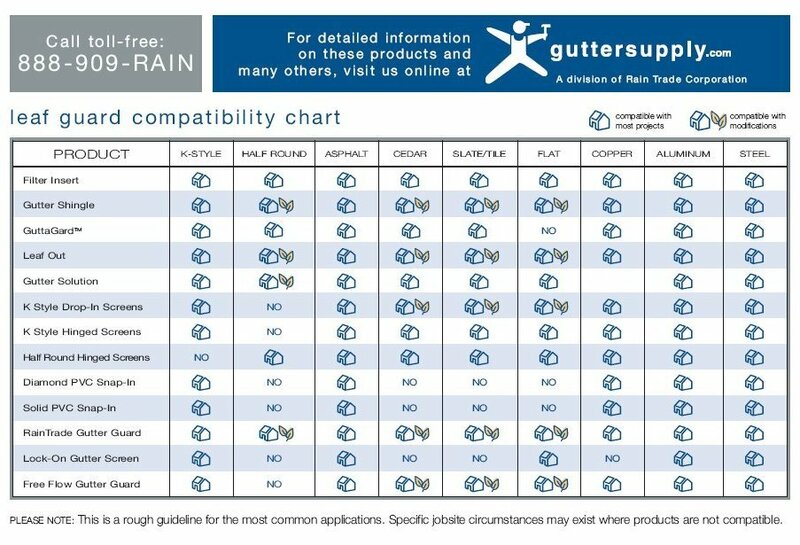 - The true width of the 5" Leaf Out Gutter Guard is 5 5/16" and the true width of the 6" Leaf Out Gutter Guard is 7 9/16"
- Handles the heaviest rainfalls. - Ultra-low profile is barely visible from the ground. 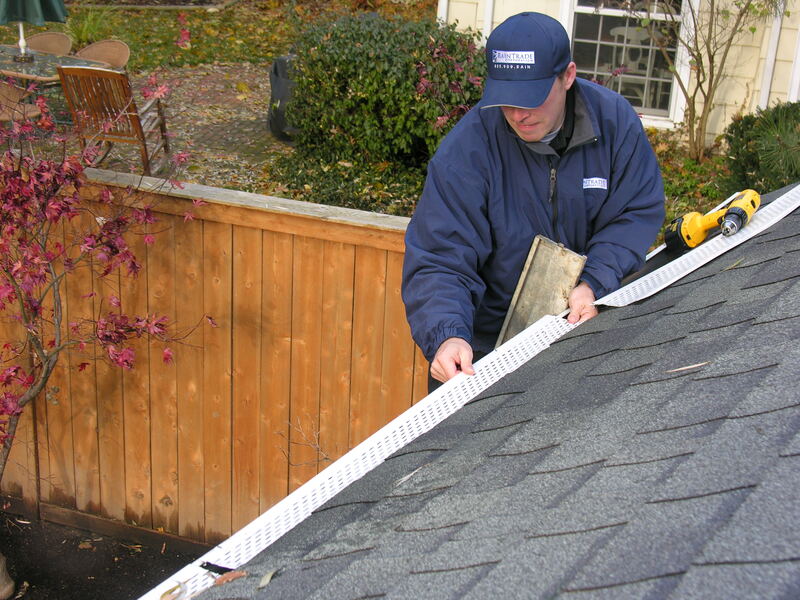 - Adds years to your existing gutter system. 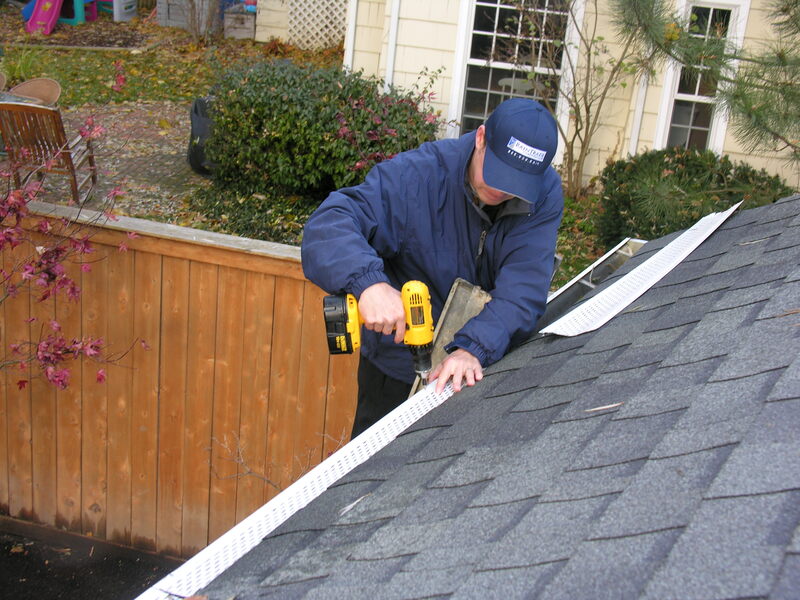 - Available in an assortment of colors to match most standard gutter systems.